Among those working in test preparation or law school admissions, news of law schools’ expanding adoption of the GRE has been a seismic shift in the last two years. The latest news is that the American Bar Association council approved a proposal that formally removes the requirement that the LSAT be used for admissions purposes at every ABA-approved law school. 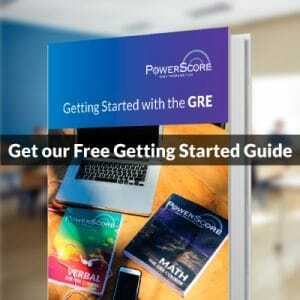 I strongly encourage you to read PowerScore CEO Dave Killoran’s post about the implications of this decision for the LSAT and the GRE’s use in law school admissions. 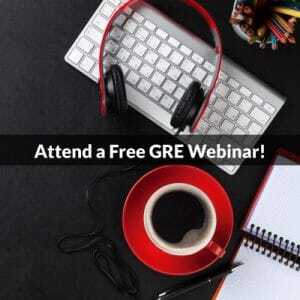 Leaving aside questions about the rate of adoption and whether the GRE will achieve a status for law school admissions similar to that which it enjoys in business school admissions, many students may wish to inquire about similarities and differences between the LSAT and the GRE. While the tests are conceptually not as different as one might imagine—both are principally skills-based tests—there are significant differences between the tests, even in sections that may appear analogous at first. In this post, we will explore some of these similarities and differences in reading comprehension questions on the GRE and LSAT. First, it is important to identify the format and composition of reading comprehension on both tests, with respect to the overall structure of the tests. The LSAT comprises three sections that test reading comprehension skills: two Logical Reasoning sections of 24-26 questions each and one Reading Comprehension section of 26-28 questions. Each question is worth one point towards a raw score, with a total of up to 78 questions, or over three quarters of your score on the LSAT. In contrast, the GRE comprises two scored Verbal Reasoning sections, each with 20 questions. These two sections are further broken down into Reading Comprehension, Text Completion, and Sentence Equivalence questions. In each Verbal Reasoning section, students can anticipate on average 8 Reading Comprehension questions. Of these 16 total, on average 4 will be drawn from a longer passage, analogous in some respects to the Reading Comprehension section of the LSAT, and the remaining 12 pertain to short or medium-length passages, analogous most closely to GMAT Critical Reasoning questions, a slightly less formal and more “real-world” version of Logical Reasoning questions. Thus, the LSAT contains far more reading comprehension-type questions than does the GRE: 76-78 versus 16, respectively. Second, the interfaces of the LSAT and GRE are dramatically different from one another. The LSAT is (for the moment) exclusively a pencil-and-paper test, offered on six set dates annually. In contrast, the GRE is (wherever available) a computer-based test. Where computerized testing centers are not available, the pencil-and-paper version of the GRE is more akin to the LSAT in its format. All questions on the LSAT are multiple choice “select-one.” For every question, students choose one credited response among five possible options. On the GRE, most Reading Comprehension questions are also multiple choice select-one, but there are also some multiple choice “select-one-or-more” and “select-within-the-passage” questions; that is, for some questions one or more responses may be correct and for others students must highlight a section within the passage (exclusively on the computer-based version of the GRE). Third, while all questions are weighted equally on the LSAT, GRE questions are weighted equally only within the same section. In other words, the GRE is “section-level adaptive”: depending on students’ performance on the first Verbal (and Quant) section, they will be presented will a second scored section with harder, mid-level, or easier questions, on average. Depending on the overall difficulty of this second scored section, the questions within this section will be weighted differently than those in the first. There is less transparency in GRE scores. While for the LSAT students receive a score report detailing raw scores and performance across the four sections (excluding non-disclosed exams, identified in advance), on the GRE students only receive a scaled, normalized score with percentile breakdown. On the upside, immediately after taking the GRE students receive an unofficial scaled score for both Verbal and Quant. Aside from structure and interface differences, what other differences may students expect between the GRE and the LSAT? In our analysis, we should distinguish between the longer-form Reading Comprehension questions (4 on the GRE, 26-28 on the LSAT) and the short-passage questions (12 Reading Comprehension questions on the GRE and 48-52 Logical Reasoning questions on the LSAT). Passages on both tests average around 500 words or fewer. Questions for both tests emphasize ability to make valid inferences from information contained within the text. The GRE is less likely to test more sophisticated logical reasoning skills on long-form reading comprehension. Students are also slightly less likely to need to parse language as nicely on the GRE as they must on the LSAT. This difference in semantic precision is sometimes a double-edged sword: the credited response may seem less “satisfactory” at times on the GRE since it might not withstand the same analytical rigor as would a credited response on the LSAT. Both Logical Reasoning questions on the LSAT and short-passage Reading Comprehension the GRE test a mixture of “must-be-true”/inference scenarios and help or hurt the argument tasks. In other words, sometimes students must evaluate information within stimuli to support an answer. Other times students must choose an answer that will either strengthen or weaken reasoning contained within the stimuli. The GRE includes relatively more inference scenarios and relatively fewer help and hurt tasks compared to the LSAT. GRE short passage stimuli are also less likely to test formal logical reasoning tested on some LSAT Logical Reasoning questions. Both tests place a strong emphasis on analyzing and critiquing causal reasoning, and this skill is paramount on the GRE. In general, GRE short passage questions are slightly less challenging than their analogs on the LSAT. At present most, if not all, prospective law school students will still wish to consider the LSAT first for law school admissions, but as the GRE becomes a bigger player in law school admissions, this status quo may begin to shift as it has in business school admissions. However, if you are a prospective graduate students who is considering law school as well, you may consider applying to schools that accept the GRE instead of the LSAT. In this case, you could skip taking the LSAT. In addition, for some law school applicants (especially perhaps with backgrounds in mathematics or the natural sciences), the GRE may be an attractive alternative to the LSAT, if such students are interested in applying to the few schools that accept the GRE right now. For instance, a student who is very strong in Quantitative Reasoning (tested extensively on the GRE) but slightly less confident in Verbal Reasoning skills (tested extensively on the LSAT) may consider taking both the GRE and the LSAT and submitting the better of the two scores (based on percentile) to the law schools that accept the GRE. We hope you have found this discussion informative. If you have further questions, we encourage you to register for our free GRE forums, where you can receive expert responses to all your GRE preparation questions.